(IMO) Small companies will not be able to afford it. This new system looks like a system that was likely in development for Atlas or Avenue-A clients before they were purchased, by Microsoft as part of the aQuantitive buy. This is certainly a reporting system for publishers who spend boat loads of cash on banner ads in much the same way they currently report “View Conversions”. Don’t you wish you could to that sort of thing with search? Can you imagine a world where you can cookie someone just for making a query… even though you are not displaying a listing? 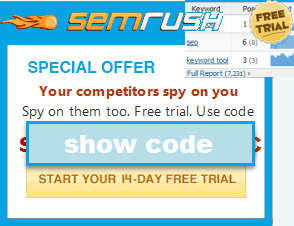 You would be able to test keywords before deciding to place actual ads. Banner advertising is way more sophisticated, measurable and effective than most people realize. You just need a serious budget to take advantage of it. Why do you think the PPA space isn't more out in the forefront, while PPC grabs the lion share of the online ad space? I know from Google's perspective it's much more of a cash cow since they get paid from people just surfing, not necessarily having to commit to buy something - But from a merchant's perspective, I'd be much more willing to pay per $75 per sale vs. .20 per click because you don't really have the conversion factor to worry about. Not paying until a say is initiated, to me, makes the most sense and would seem to really make the most sense to most website owners, publishers, etc. Am I missing something? I'm not sure of the rational behind that one, other than [I guess] they want advertisers who are sure to convert to be displayed on their network? What are your thoughts on the direction PPC is heading, and do you see PPA gaining any ground?